Situated just a 1/2 mile west of US23 on River Road. Voted Michigan's Favorite Canoe Livery by AAA Michigan Living Magazine. Single and tandem kayaks are available for our two or four hour trips. Longer and overnight trips are also available. 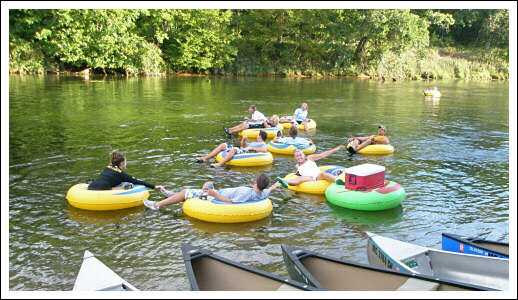 Tubing is a great way to relax and spend the day on the AuSable. Cooler tubes can be rented if available.